HURRY ONLY 3 LEFT IN STOCK AT THIS PRICE! visit www.ppdprepress.co.uk for details and free 29 day trial. Long sheet, envelope feed kit, booklet options available at additional cost. Excludes VAT. Delivery and installation to ground floor included. SRA3 full colour click charge £0.0275 inc. toner. * 63 month agreement with Grenke subject to approval. 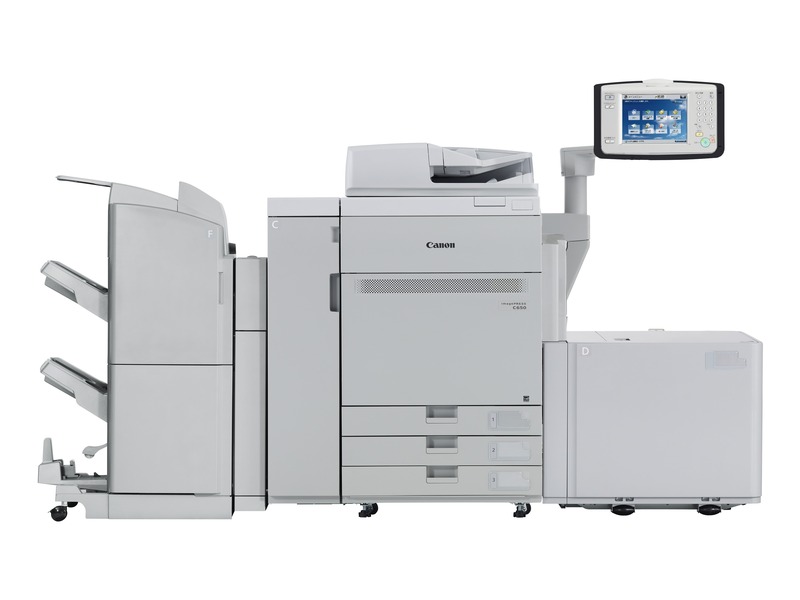 BRAND NEW STOCK – Canon imagePRESS C650 fully featured SRA3 digital press with high cap feed unit, 4000 sheet finisher, PS/PCL Print Controller. Great with a wide range of medias including textured and coated stocks. Lease from £399.75 + vat per month over 5 years. Best back to front registration in it’s class. Fiery option plus £46.99 + vat per month. NOW AVAILABLE – KM PRO C1085 High volume fully refurbished press. Features no slow down on any media up to 350gsm, IC308 Fiery Controller, Staple Finisher with built in 20 sheet saddle stitch unit. £505.25 + vat per month over 39 months – subject to approval with Grenke Finance. 2700 pages per hour SRA3. 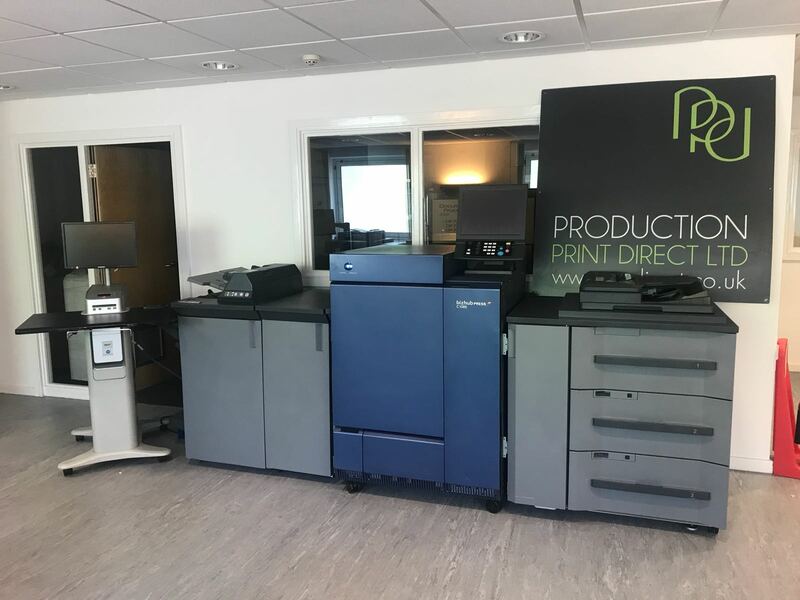 NOW IN – Fully refurbished KM Bizhub C1060L with Fiery Controller, LU202 feed paper deck, FS-531 offset stacker with staple. CASH PRICE £12500 + vat. LOW VOLUME!!!! TOO LATE – Fully refurbished KM Bizhub C6000 with Fiery controller, staple finisher, LU202 paper feed unit and ES1000 Spectrophotometer. Lease from £249 + vat over 3 years. 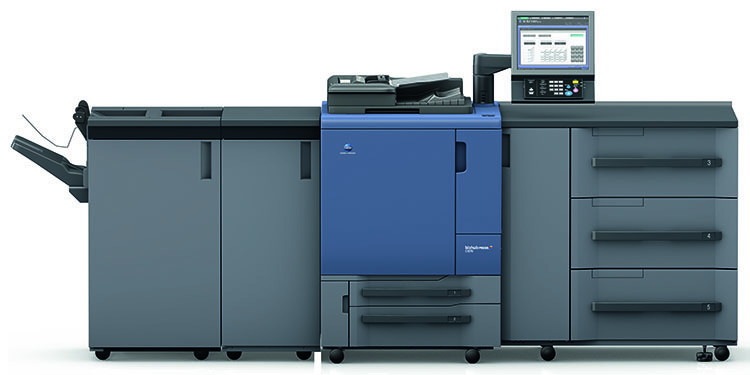 IN STOCK – Konica Minolta Bizhub PRO 1100 SRA3 mono digital press with 4500 sheet AIR ASSIST paper deck, 2500 sheet finisher with stitch, post inserter & offset, PCL & PSIII Print Controller Print/Scan/Copy. Only 4M clicks. From £184 + vat per month over 5 years. SRA3 click charge £0.0035 inc. parts, labour, call-out, servicing & toner.